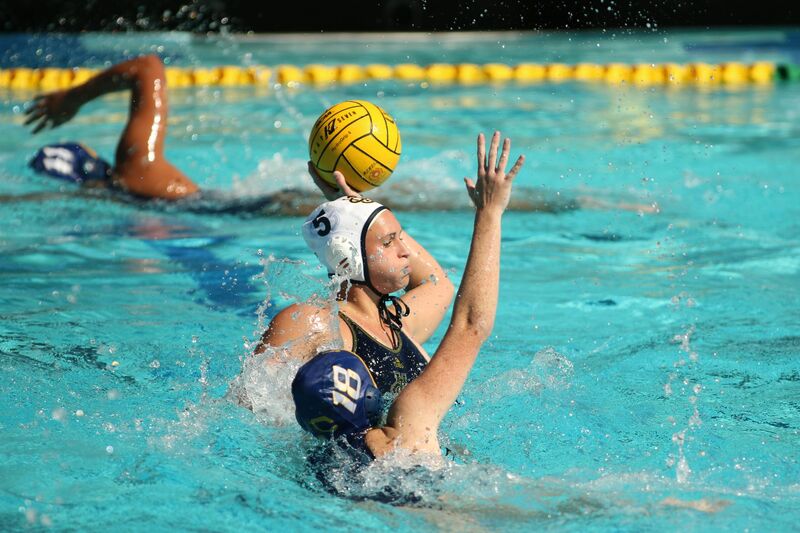 This week UCI Women’s Water Polo hosted the No. 22 Harvard Crimson and the No. 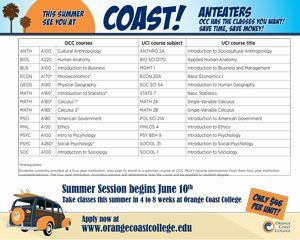 20 SDSU Aztecs. The ‘Eaters, No. 7, coming off a win against CSUN to start a long home stint, continued their winning ways at home. On Thursday, Harvard made the trek to Irvine Aquatics Complex only to be faced with the confident and rested ‘Eaters. Harvard did manage the first goal of the game just over a minute in. UCI however responded well, netting two of their own. The first a rocket shot top left by Tara Prentice on a dish from Senior Julie Swieca, as the shot clock expired and the second came with 2:46 left to play came by way of Keana Eldridge, who beat the Harvard keeper nearside. Eldridge would put up two more goals on the day to earn a hat trick. The ‘Eaters, up 2-1 had their only multi-goal lapse, as Harvard generated 2 goals, the latter of which came with just 9 seconds left to play. The second period featured a much more decisive UCI. Swieca made her presence felt again with a steal early in the quarter, that lead to a goal by Freshman Utility Toni Shackleford. The ‘Eaters did not look back, exploding for five goals during the second, holding the Crimson to 1 point on the period, giving UCI the 7-4 lead. Notably, UCI’s defense played a big part in their offensive production. Freshman utility Kayla Schultz’s turnover put junior attacker Cara Borkovec up alone against Harvard’s goalie, who Borkovec beat nearside. Borkovec earned a hat trick and then some with 4 goals in the match. In the third, the ‘Eaters put up six more goals, and went on a defensive streak that started in the second quarter and saw UCI score seven uninterrupted goals. The streak started with 5:30 left in the second, where Harvard managed their last goal on the power-play, and did not score again until there was 3:12 left to play in the third. UCI for over 10 minutes kept Harvard from scoring but also put on an offensive show of force that gave Harvard little chance to mount counter attacks. The fourth saw a change in Goal for the ‘Eaters, as Riley Shaw took over for Jenna Phreaner. Phreaner an important part of UCI’s defensive dependability as of late, had eight saves, three steals and an assist over the first three frames. Shaw came into net, and also did not disappoint, notching three saves and allowing no goals in the fourth. The ‘Eaters finished strong with three goals in the final quarter, two of them coming from Cara Borkovec. The final score 16-6, as the ‘Eaters prepared for their game the following day against SDSU. Coming off their impressive win, UCI did not have the slow start that they showed against Harvard, instead opening strong with three goals in the first. Borkovec, Prentice and Isabel Rack. The Aztecs did not put any points up in the first, unable to best UCI’s grinding Defense. To start the second, UCI again found the net to start the period. This time Borkovec tallied an assist, on her pass to Natalie Seidemann, who put the ‘Eaters up 4-0. UCI allowed its first goal with 5:59 left in the second. The ‘Eaters again allowed a goal, before responding with two of their own. Megan Falcon netted one and had the assist on the second when she passed to Danielle Ayala who beat the Aztecs keeper and put UCI up 6-2. The 3rd was not productive for the ‘Eaters, as they allowed two but could not put up any points of their own. Moving into the fourth, the ‘Eaters held a two point lead 6-4. After being shut out for a frame themselves, UCI responded well not allowing any hopes of a comeback by SDSU, holding them to a goalless fourth. UCI however did manage a goal in the final quarter and it came by way of Rack who scored the opening goal as well. Rack’s power play goal came with 4:33 left to play, but gave UCI a comfortable 7-4 lead to defend. Adding two wins, boosts the ‘Eater’s record to 7-10, bringing their win streak to three. The wins also bolstered their home record, now 4-4. UCI will host No. 2 Stanford, and attempt to defend their hot streak, Monday March 26, at Irvine Aquatic Complex. The ‘Eaters have turned around their season after struggling through a difficult schedule to start the season.